Former national rep Anand Sami is now the head coach of Labasa football team. Sami, 66, arrived in Labasa yesterday and was very happy once again to help the Babasiga Lions. 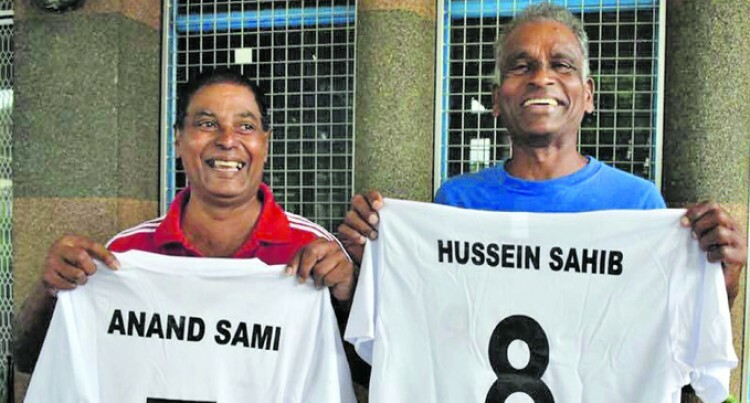 “I began my football career when I was 16-years-old and then from 1972, on and off, I coached Labasa team until I migrated to Australia,” Sami said. “My plan this time is to put more input to the team and make sure not to repeat last year’s drawback. He will start coaching the team from today and their first match in the Vodafone Premier League will be against Ba at Subrail Park at 1pm on Saturday. He said he would work with players available after the transfer window closes. Suva players Ravinesh Karan Singh, Antonio Tuivuna and Napolioni Qasevakatini will team up with the Babasiga Lions while Ratu Anare and Christopher Wasasala will join the capital side. “These are experienced players and have played their positions so I am sure they have good football behaviour and can combine with other players,” he said. “I will prepare the team the way I want to. Labasa team manager Nilesh Lal said their major focus and objective was to qualify for O-League. “Labasa being one of the competitive teams have not competed in the O-League,” Lal said. Labasa Football Association secretary Varun Anand yesterday confirmed the appointment Sami via telephone from New Zealand. “Head coach and technical advisor will be Anand Sami, assistant coach for senior team is Johan Leewai, U19 coach is Sanjesh Chand, U16 coach is Ravneel Pratap and women’s coach is Arthur Simmons,” Anand said.